This collection of tools is essential for any medical professional to have on hand. Choose from a selection of thermometers, penlights and more. 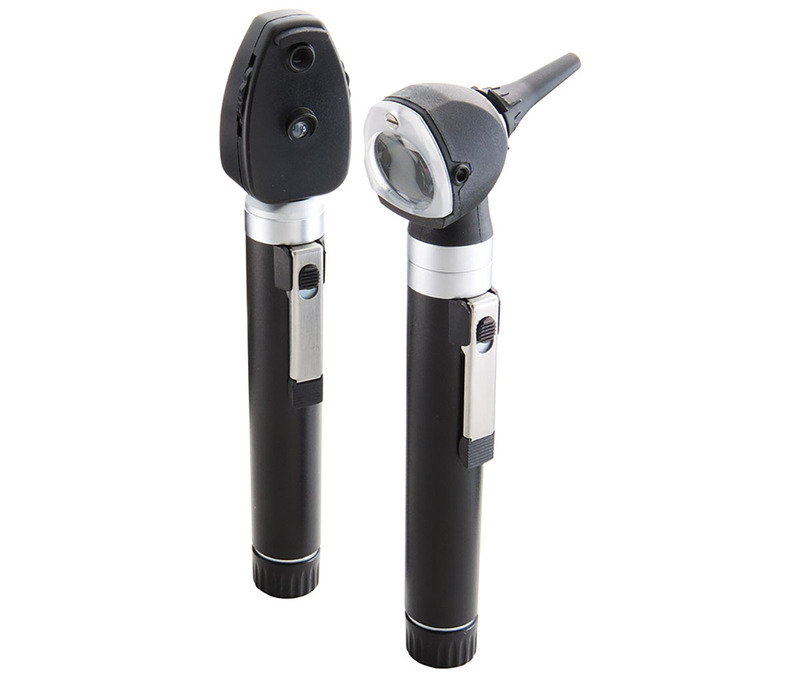 The Adlite Disposable Penlight comes in a box of 6 and provides a beam of light for diagnostic purposes. Easily activate the beam of light by depressing the pocket clip. It measures 5" long with a 0.5" diameter. The Metalite Reusable Penlight provides a beam of light that is activated via a plunger power switch. Its casing is made of aluminum for added durability. It measures 5.25" long with a 0.5" diameter and uses 2 "AAA" batteries. The Adson Tissue Forceps are floor grade utility tweezers that are forged from corrosion resistant 410 surgical stainless steel. These 4 _ inch forceps are designed with serrated tips and a non-slip grooved handle.